This wonderful unit offers modern living and spacious accommodation with all the comforts you would associate with a luxury Lodge. This unit is residential specification and has canexcel cladding, dishwasher, washing machine, fridge freezer, modern gas cooker, oven and extractor. 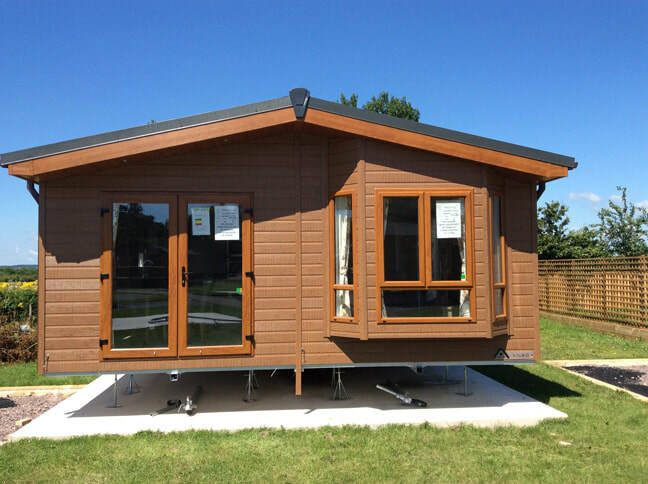 The unit has two bedrooms and two bathrooms, all rooms are large and spacious the Lodge also benefits from ample storage. We have also included several manufacturers options to enhance the Lilac Lodge still further. All our Lodges come complete with large balconies with this unit having a balcony to three sides. They also have a caravan skirt fitted along with many other little extras. The Lilac Lodge really is home from home and with all the other extras we include we feel you will be hard pressed to find its equal anywhere else. For more details please contact the park.